Fronted by Daniel, Eagle Eyes Security Systems is your surveillance destination in Sydney, Wollongong and surrounding regions. With more than a decade of experience in the industry and a portfolio of highly successful installations and customer feedback, both residential and commercial – you can rely on Eagle Eyes. We offer a vast range of quality surveillance cameras for sale online with optional on-site consultation and both fast and affordable installation. We pride ourselves on fast and efficient support and offer FREE servicing and back-up to our customers for 24 months after installation. Daniel started his career as a highly successful electrical engineer and boasts certifications in CCTV equipment installation, monitoring and cabling. His expertise in security systems is vast, with no job too small or too complex. We specialise in cheap security cameras Wollongong and Sydney, and this is why when it comes to security system Wollongong and Sydney we are the best there is, and that too by a whole long distance. You might be alarmed to know that not all security systems are created the same way. This is why it does not matter if you are living alone all by yourself or with your family. It is always better to talk with a professional firm such as us that specialises in services like CCTV camera system installation Sydney. You should know that there are various kinds of security systems that you can use in order to make sure that your home is safe and sound. These days the number of criminal activities such as break-ins is increasing every year. In such alarming circumstances it is but natural that you avail services such as CCTV surveillance camera system Wollongong and Sydney. You can be sure that if you do not have a home guard system as such your home is not at all safe. You should definitely avail services such as CCTV equipment installation Wollongong and Sydney. 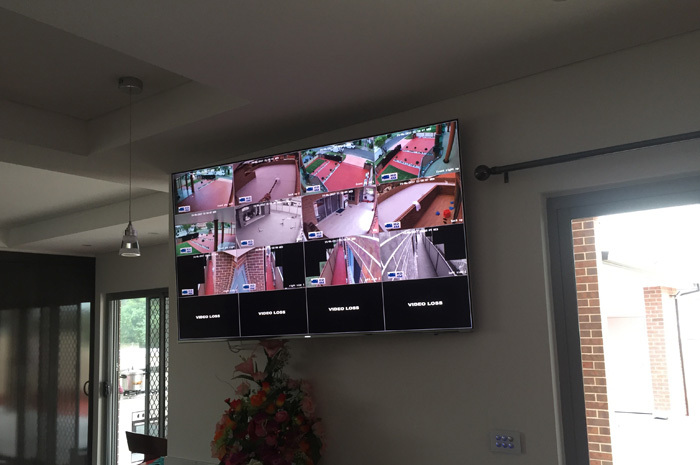 These systems play a major role in making sure that your home stays safe.No matter what kind of danger it is, if you have from top providers of IP cameras services Wollongong and Sydney such as us then you can be sure that your home would stay absolutely safe. With these security systems your home would be protected from assailants such as thieves and at the same time it will also keep your home safe from other issues such as young kids trying to break into your house just so that they can have some fun. In fact if you want CCTV camera sales in Wollongong and Sydney you can get in touch with us. The worst thing that can happen to your home is when someone breaks into it in the middle of the night when you are away and there is precious little that you can do in the aftermath of such a criminal act.. They would keep your home safe from all kinds of criminal threats and this is something that you can be sure of. Seeing thieves break into your house is one of your worst nightmares. You definitely would not want a stranger to get into your house. For that you definitely need things such as the CCTV and IP cameras. This is especially true when you are not there at your home because at least when you are at your home there is a good chance that the burglars would not enter your home if you are there. At the very least you would be able to build up some resistance and you would at least remember how that person lived when you report to the police.